In addition to all the other lawsuits surrounding The Walking Dead, now the lawsuit accusing AMC and Robert Kirkman of stealing the idea for the spinoff, Fear The Walking Dead, will continue, following a judge refusing to dismiss the case. 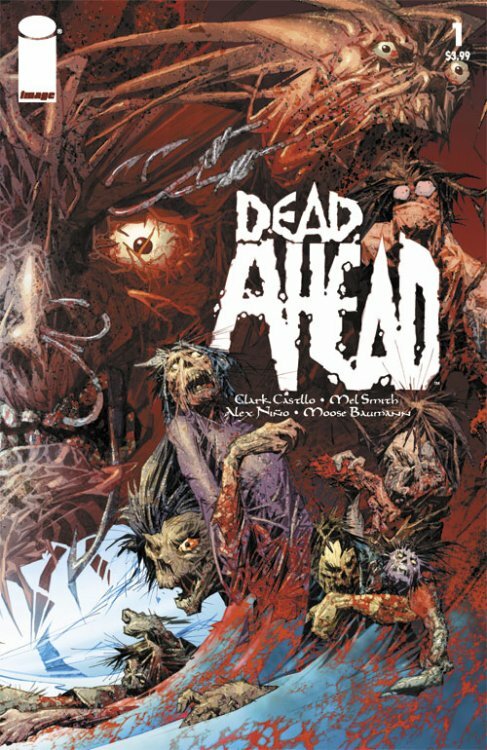 If the copyright lawsuit holds up, this comes off as really, really sleazy, as it alleges that Robert Kirkman and Hollywood agent and producer, David Alpert (in addition to AMC and other defendants), stole the idea for Fear the Walking Dead from the Dead Ahead comic book by Mel Smith. Why it is particularly sleazy is because Dead Ahead was published by Image Comics in 2008, where Robert Kirman serves as chief operating officer. However, get this, Mel Smith alleges he actually hired agent David Alpert to shop around Dead Ahead to Hollywood movie and TV studios from November 2008 to April 2013. Both Robert Kirman and David Alpert are listed as executive producers on Fear The Walking Dead. Kirkman and Alpert also appear to have a long working relationship as Alpert is a credited producer on Kirkman's Outcast, Robert Kirkman's Secret History of Comics documentary series, Fear The Walking Dead, The Walking Dead, Talking Dead, and the upcoming Invincible. AMC (and defendants) tried to argue that The Fear The Walking Dead copyright lawsuit should be dismissed based on the ideas being considered generic, meaning it's just a basic zombie apocalypse story; however, the plaintiff, Mel Smith, sees otherwise, and the court listed the alleged plot similarities into 11 groups, the alleged characters and dialogue similarities into 5 groups, similar themes into 3 groups, with the setting, mood, and pace of the works also allegedly said to be similar. The judge agreed with Mel Smith and dismissed AMC's generic argument leaving the case open to further filings and a potential trial. You can read the court document here, which lists the similarities between the show and comic, which doesn't sound "generic." AMC also faces a lawsuit over The Walking Dead regarding original showrunner Frank Darabont's claims of $300 million in profits being owed, which has been ongoing for five years, with a trial possible in 2020. In a separate lawsuit, the show's producers, including Robert Kirkman, are also suing AMC over monies allegedly owed.